Datacentre service provider Digital Realty Trust has become the latest company to launch a datacentre infrastructure management (DCIM) service. The tool called EnVision is designed to help datacentre managers have an increased visibility into their datacentre operations and view and analyse data in a manner that is actionable, the company said. It will also provide tailored reporting and access to historical data which supports enterprises’ future IT planning and energy efficiency. 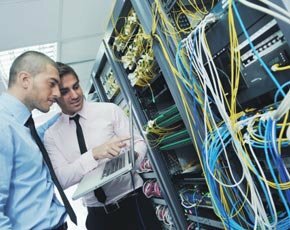 Datacentre infrastructure management is the convergence of IT and datacentre facilities functions within an organisation. It brings together stand-alone functions such as datacentre design, asset discovery and management, capacity planning and energy management. In some cases, it even encompasses certain systems management functions. DCIM tools provide a holistic view of the whole IT infrastructure ranging from the rack or cabinet level to the cooling infrastructure to the building’s energy utilisation and help datacentre managers identify energy and resource waste and fix them. According to analyst Gartner, the DCIM market will grow from its current value of $450m to $1.7bn by 2016. “DCIM tools provide insights and improve performance throughout the data center, including data center assets and physical infrastructure. They enable the monitoring and collection of low-level infrastructure data to enable intelligent analysis,” said Gartner analyst David Cappuccio in a DCIM report from June 2012. DCIM, which had no market penetration until 2009, is said to be a hot area of investment for datacentre suppliers as users increase their focus on datacentre energy efficiency and cost savings, according to datacentre expert Clive Longbottom. Earlier this year, Siemens launched its first DCIM tool called Datacenter Clarity LC as it aimed to spread its focus into a broader datacentre arena. Another IT provider IBM has also combined its IT service management (ITSM) software with Emerson Network Power’s Trellis platform to provide users with improved datacentre energy efficiency. As part of the collaboration, IBM will resell Trellis as its DCIM tool. Other main players in the segment include Modius, nlyte Software (formerly GDCM) and Romonet. There are also a host of smaller, more niche software suppliers. “Up until now, data has been collected, but it has not necessarily been easily accessed or arranged in an intuitive manner that is helpful to a datacentre operator,” said David Schirmacher, senior vice-president of portfolio operations at Digital Realty. Digital Realty will roll out EnVision across its global datacentre portfolio, which includes 122 properties, in the next 18 months.